Transition Bath have responded to the government proposals from the Department of Energy and Climate Change (DECC) to remove pre-accreditation for FITs for medium sized solar PV installations. At the moment if a community group e.g. 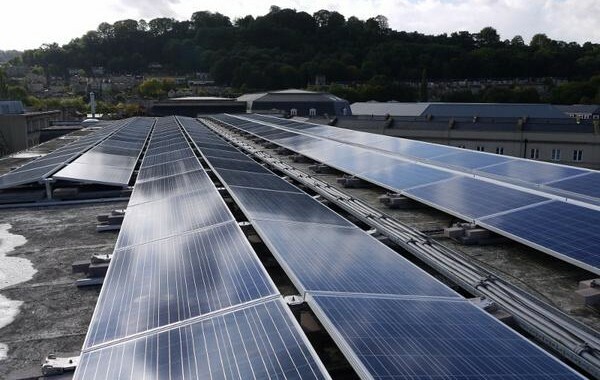 Bath and West Community Energy (BWCE) identifies a site and gets planning permission for a solar farm, it is able to lock in via a mechanism called “Pre-Accreditation” the Feed-In Tariff rate for 6 months while it raises funds and installs the panels. This mechanism creates investor certainty and the community group can provide reasonably accurate estimates of returns to investors when raising share capital. The DECC consultation seeks to remove the pre-accreditation in order to make the projects more risky and reduce the rate of installations. We have objected to this removal for community groups as they typically take 3 to 6 months longer than professional investors to turn around such a project and will thus be at a significant disadvantage and we feel make kill off community investment altogether. We feel local community ownership has many benefits, including buying into the planning process, distribution of income locally and the grant funding provided to local communities by these schemes. Our concern is that the proposal is not very well thought out, DECC have no idea of the impact of the change and it appears to favour the ‘big 6 energy’ companies over local initiatives. Our detailed response is available here. Transition Bath needs your help to keep going. Please donate or become a regular giver here.